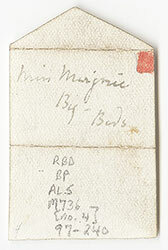 Title: Miniature letter to Marjorie Moller from "Hunca Munca"
Date taken from postmarks on front and back of envelope. 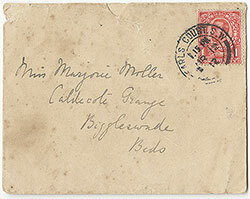 Front postmark from Earl's Court, S.W. 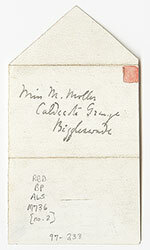 i.e., the envelope was posted near Miss Potter's family home in London, Number Two, Bolton Gardens, Little letters written and signed as if by various of Miss Potter's animal characters, each shaped and folded to represent an envelope, with a tiny stamp drawn in red. 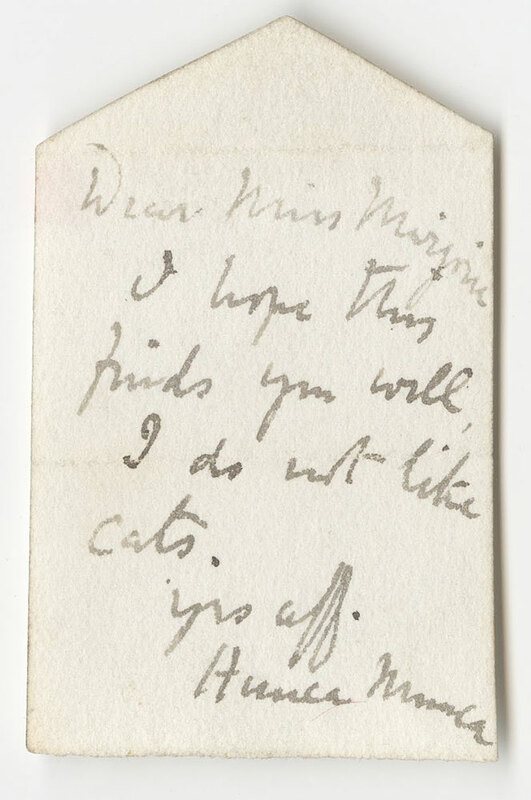 Salutation: Dear Miss Marjorie. Signed: Hunca Munca. "I hope this finds you well. 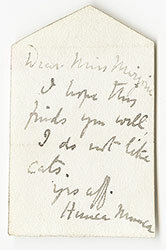 I do not like cats. Yrs. aff."